Professional, convenient, and reliable North East pest solutions that you can trust! If you want to protect your home and business against any unwanted visitors, we can help! Based in the North East, we are pest control professionals equipped with the knowledge, skills, and expertise required to resolve a whole host of pest control issues, in both indoor and outdoor spaces. From rodent control, bed bugs, ants and cockroaches, and mole control services through to insect infestations, bird control, and rabbit control, we have years of experience when it comes to removing pests from domestic, commercial, and industrial environments. 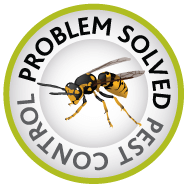 Why choose Problem Solved Pest Control? Providing a full range of pest control solutions in Gateshead, Newcastle, and Northumberland, our highly trained team is responsive, reliable and professional, offering the best value for pest control in the North East. After all, when pests invade your home or business, it’s important that the problem is resolved as quickly as possible, especially as many pests can pose serious health risks and concerns. Whether moles have become active in your garden, rodents have made their way into your home, or you’re having problems with bed bugs, we are always on had to solve your pest problems. If you have any questions about our pest control services in Newcastle, Gateshead, Durham, Northumberland and throughout the North East, or if you’re looking for a free, no obligation quote, please do not hesitate to get in touch. Our friendly, approachable and professional Pest Control team is always on hand to help. If you have a problem with a pest infestation call us today on 0191 460 6789.